It’s 2017. We are nearly a decade removed from the great recession. The unemployment rate is effectively close to 0%. Yet, I keep talking to qualified individuals who have trouble finding a position. Why? Why does it seem more difficult to find a position now than at much worse times in the recent past of the economy? It’s easier than ever for employers to reach out to potential candidates. Employers have more options than they have ever had when hiring. Both points come down to one word: Connectivity. In the connected world that we live in, employers can see thousands of people that are qualified to do “the job” from all over the world. Not only that, through the many platforms they have at their disposal they can reach out to those people with very little effort. Whether it’s through LinkedIn or even with a job posting. Candidates seem more attainable than ever. Even if they are thousands of miles away. What does this mean for a job seeker? You will be contacted with or apply to more opportunities than ever before with a much lower response rate. Because of the ease at which hiring authorities and HR departments can touch base it costs them much less, in both time and money, to do so. That means if a Director is mad at their Manager one morning, it isn’t a big deal to quickly touch base with 5 managers in their industry to see if they are looking. It doesn’t cost nearly what it once did to throw out a job posting and see what kind of response you get. So, what do I say to people when they tell me they are having trouble finding a job? To be persistent. The fact is that job seeking has always been a bit of a numbers game. There are several things that have always gone into whether you get a job—many of which are out of your control. So, be persistent. Apply to more things than you feel you need to. Reply to the LinkedIn messages you receive. The fact is, it’s also easier to get into an interview process than it’s ever been because of how connected we are. So, take advantage. Play the numbers game and land that dream job. Bud Harrison is a Partner and practice leader of the hireneXus Healthcare team. He has over a decade of successful recruiting experience in healthcare. 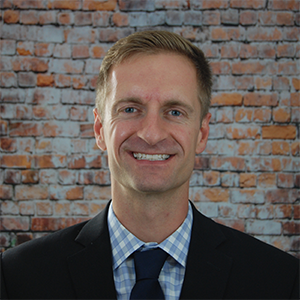 Bud received his Bachelor degree in business from Northern Illinois University and prior to joining hireneXus he was in sales in the mortgage industry.